Our mission here at Odyssey Nursery in Abu Dhabi and Dubai, is to aid the growth of children allowing them to acquire autonomy, with the skills and competencies that are the essential basis of teaching. It relies on the children’s strong natural abilities at that age to mimic and invent whilst playing and engaging actively in fun activities. This increases and stimulates children’s desire to learn further, whilst diversifying their experience and enriching their comprehension, and allows easily to be paced to their growth and development. The curriculum of Odyssey Nursery is not bound by a fixed schedule. It covers the main areas of activities over the three to four years of education, by setting objectives to reach and describes the competencies to build before the passage to Elementary School. The early-childhood program in our nursery in Abu Dhabi and Dubai shall endeavour to maximize the potential of every child through an active partnership between children, teachers, caretakers, parents and administrators. We aim to achieve this by providing a positive, secure, caring environment and be the best nursery in Abu Dhabi and Dubai where individual differences are acknowledged and appreciated. We promote peace education, understanding and effective communication between home and school. Check out Odyssey Nursery’s Vision to know more about our approach. ■ provide a developmentally appropriate, literacy-based curriculum. 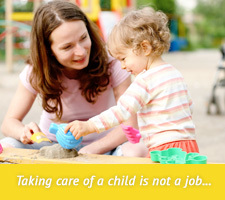 ■ create and maintain an environment in which children learn through play. ■ include children with and without difficulties. ■ facilitate smooth preschool transitions. ■ establish and maintain collaborative relationships with other communities.